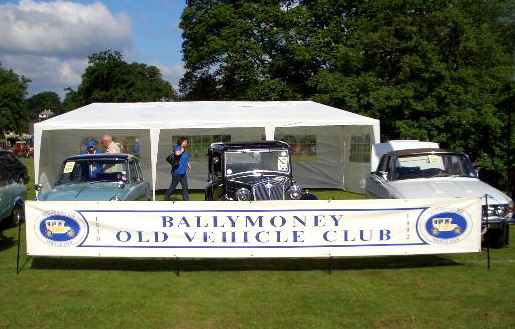 Ballymoney Old Vehicle Club was established in June 1992 and has a membership of 65. The club holds its meetings in Ballymoney United Football Club on the last Monday of each month. A range of events are organised throughout the year with all proceeds going to local charities. You can see photos from some of these events in our Gallery. Details of upcoming events can be found on our Events page.